Workers Compensation is the type of insurance which provides medical benefits and wage replacement to the injured employees. If you get injured at your workplace, then any type of compensation you will receive is from your employer's insurance policy of workers’ compensation. Every state has its own rules and laws regarding workers’ compensation and it also provides various benefits to the workers, so they can legally sue their employer. · If the injury caused because of some defective product then you can take the action against the product manufacturer. If the worker is injured from a machine, which is not working properly, then the manufacturer will be held accountable for the situation if he knew about the condition of the machine and even though not warned the employees properly. In that situation, the manufacturer will compensate for all the expenses. · If the injury is caused by some toxic substance then you can file the lawsuit of toxic tort against the manufacturer. The substance that workers use can be toxic which includes radium, silica, benzene, asbestos, etc. which can cause illness and severe injuries. There are two types of injuries caused by such substance, namely acute and latent injuries. An acute injury like poisoning or chemical burns acts immediately, while it takes years in latent injuries like lung disease or cancer. · Injury caused because of some other person (third party), other than the employer. In that case, you can sue the third party. · Injury caused because of employers intentional conduct (in a way to harm you). Under this situation you can take actions against employers conduct and can sue him. · If the employer does not have any workers compensation insurance. You can even sue the employer in the civil court and also you have more opportunity of receiving large amount of money than in workers compensation claim. You must remember that worker can even sue the employer outside the law of workers compensation only in last two points, which means that you can file the lawsuit in civil court. After filing a lawsuit against the employer or the third party you need to show that your case is correct with the help of proper evidences but also remember that the employer also has an attorney, who is also smart. 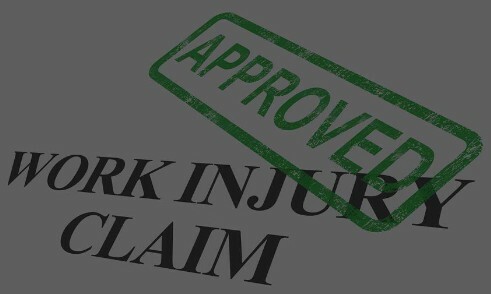 First, you need to prove to the judge that the employer is guilty and is responsible for the condition, but the employer's attorney can also argue that this case should be treated as a normal workers compensation claim, so in that case you need to provide proper evidence lost wages, medical bills, etc. in acceptable form. Therefore in this way you can easily sue the employer. workers get damages from their employers but it is always good to have own insurance health policy also.